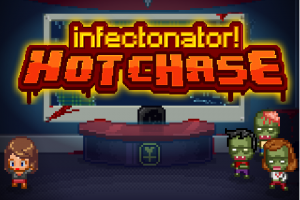 Infectonator Hot Chase lets players infect the innocent, transform them into zombies and wreak havoc on civilization, all while winning the heart of a lucky (or perhaps unlucky) news reporter. Obstacles be damned in the quest for true love! 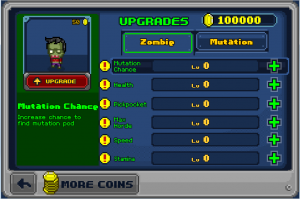 With new zombies, upgrades, power-ups and boosts, the undead are more alive than ever before! 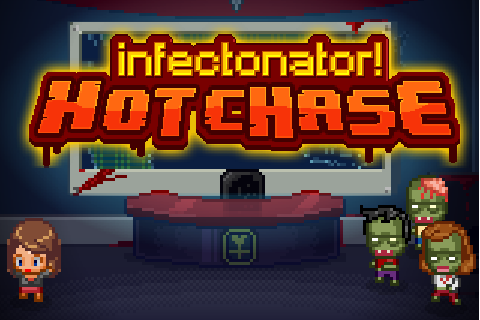 Grab your mobile device and start the zombie chase today! 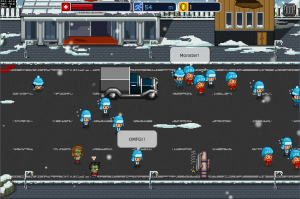 Armor Games is the leading developer of casual Flash and iPhone games. Based in Irvine, California, the company was founded in 2005 by Daniel McNeely and has developed and released such hit games as Crush the Castle, Kingdom Rush, Sonny, IndestructoTank!, Shift and Upgrade Complete! Toge Productions is an independent games development studio based in Karawaci, Indonesia, established in early 2009 by two people with a common passion for games. What started as a student team project, Toge Productions has now grown into an award-winning game studio that strives to create games people can enjoy.